Unless you’ve been hiding under a rock this weekend, you will have heard Kevin Spacey’s amazing MacTaggart Lecture about the nature of film and television industry. … Aaah you’re back? Hi. Good, wasn’t it. Since posting on social media about this on Friday, I’ve noticed a lot of the talk has focused on the notion of TV boxsets and how audiences want content delivered or streamed the way they want them. Full disclaimer: I’m not a TV fan in the classic sense. Though there’s plenty I both like and admire on television in terms of writing, making or even marketing campaigns, you won’t find me “binging on boxsets” or streaming episodes. It’s just not what I do. For me, film is where I’m at, so when I actually have time to watch something, you’ll find me combing the bargain bin or typing titles into LoveFilm that I read in some weird in-flight magazine three months ago, the more obscure and niche the better. So whilst I know next to nothing about MAD MEN, THE SOPRANOS or GAME OF THRONES, I *can* wax lyrical about indie films beginning with D; British gangster movies; or blockbusters that actually are unfairly maligned in my opinion (and which I am frequently told I’m reading far too much into!). But this is exactly what Spacey is talking about. Audiences seek out their own content, in the ways they want it – which is why I think his lecture is relevant not only to those writers wanting to go into television, but those in film, novel writing and transmedia too. 1) Grab your opportunities with both hands – and make them yourself. We all know this and it’s very easy to say doors are shut in our faces and obsess over how we’re kept out of the industry. Spacey echoes what I’ve always believed: that we can do anything if we want it enough. No, that does not mean it’s somehow magically easy. But if you want it, you must go and do it. 2) You will not get taken seriously at first. Lots of people decide to be writers and then can’t believe it when their plans and dreams don’t fall into place. They work hard, they point out; so why haven’t they made it?? But Spacey reminds us to learn a lesson from history: nothing and no one is taken seriously at first. You must earn it. So don’t be incredulous that no one sees your genius: keep going. SHOW the world and TAKE your place! 3) Collaboration is key … Writers frequently believe it’s “all” about the writing, but Spacey underscores the notion that whilst the Creative may be king (or queen), it’s not “Art VERSUS Commerce”, but “Art AND Commerce”. The two are inextricably linked and rather than seeing the the “money people” as passion killing freaks, there ARE ways of ensuring the two work together so we can create AND get our work to an audience. We must find new and innovative models of doing this, so we can be the next HOUSE OF CARDS or similar. 4) … And so is communication. Audiences make their own meaning. They are not passive consumers who just absorb what we give them. On this basis then, we must remember we are communicators first and foremost, giving audiences as much opportunity as possible to engage with our content. And we must not be snobs. Different audiences want different things for different reasons; we must never think we are better than them or that audiences are somehow stupid. 5) Forget about platforms. Convergence is well and truly here: the next generation in particular makes no distinctions between film, TV and computer devices; “transmedia” is an abstract concept for describing the new ways of delivering content. But that’s all it is: content. Your audience wants a good story, well told. Spacey suggests we focus on this primarily and I agree: as a script editor, I JUST DON’T see enough of these! 6) Risk takers are rewarded. Spacey makes the great point that all throughout history in the industry, those who take risks are those that get remembered. Not the conservatives, trying for a “sure hit”. Whilst finding an audience is important and forging blindly ahead is foolhardy, we must also temper this with something original. We do not want rehashes of stories already told. Again, we want that elusive “good story, well told” – so where’s yours? 7) We can all do better. It comes down to this: it doesn’t matter how successful we are or what we’ve done already, we are always learning. We must not get complacent. We can always do better … and if the day arrives when we think we cannot make a difference or we cannot surprise people, there’s no other thing for it: we should stop. 8) We must send the elevator back down. When I first started my career over ten years ago, I was struck by how others were willing to help me … and how others were not. Almost without exception, the generous people have moved on to great things, whilst those who pulled the ladder up after them have faltered or even fallen by the wayside. 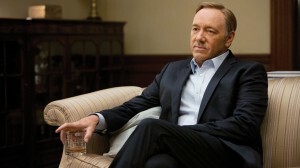 So I agree with Spacey on this most of all: always do what you can to help others. If nothing else, it will make you a good person. And you never know what it might lead to. 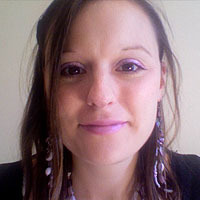 BIO: Lucy V Hay is a script editor, novelist and blogger who helps writers via her Bang2write consultancy. Lucy is one of the organisers of London Screenwriters’ Festival and currently involved in the Hitman Thriller Assassin, shooting in London next month.